3 Masters (2 w/K, 1 w/K/QSS), 1 w/K, 1 w/2 Twins, 1 w/Bunks, 1 w/Pyramid & Twin. Sheets, Towels, Bath Mats, Beds Made. 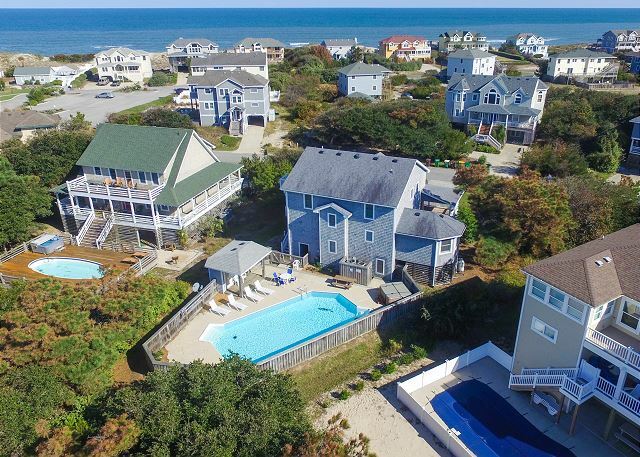 This stunning seven bedroom home offers all of the amenities to make your next Outer Banks vacation a dream come true! Salty Paws is beautifully decorated and very well kept. The home offers modern amenities, including flat screen HDTVs in all rooms, and comfortable furnishings throughout. All televisions have cable television, except where noted below. New stainless steel appliances and second dishwasher in 2017. This home is perfect for large families and you can even bring along the family dog! Salty Paws offers a large, gated private pool and a poolside pavilion with refrigerator and iPod docking station so that you can enjoy cold beverages and your favorite music while soaking up the sun by the pool. 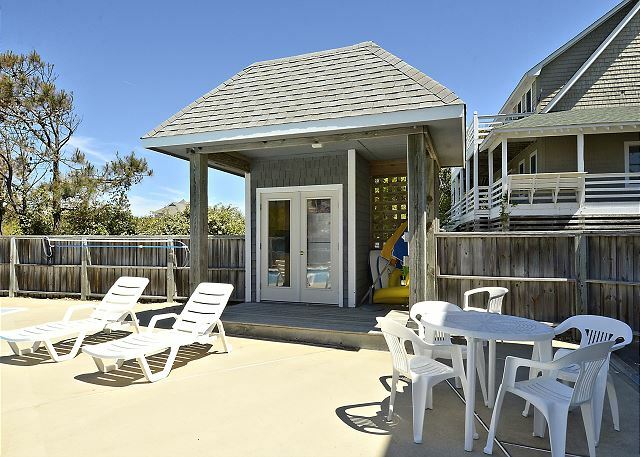 Surely you came to the Outer Banks to enjoy more than just the perfect home, you came for the beach! Salty Paws is only a short walk to the life-guarded beach access. This area of Corolla is known for it's pristine, uncrowded beaches. 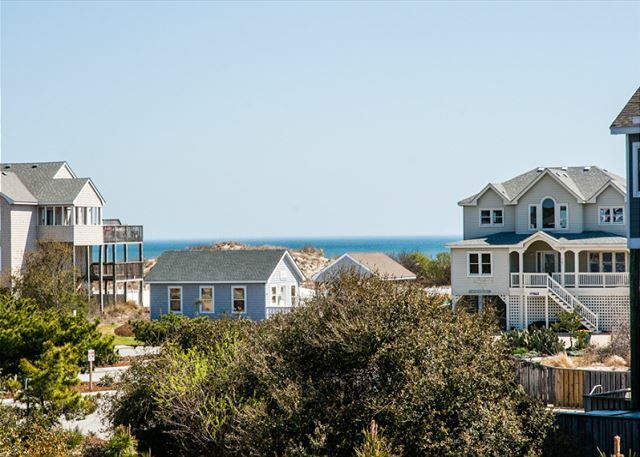 If you get enough of the beach, you are also located near the Currituck Lighthouse, Whalehead Club, fabulous restaurants and shops. If you're up for an adventure, consider a wild horse tour of Carova Beach which is just a few miles north! Lower Level: King Bedroom w/Private access to shared Full Bath w/Shower, Flat Screen TV/DVD, Bedroom w/Bunk Set (Netflix/Smart TV only). Rec Room w/Flat Screen TV, Stereo w/iPod Dock, Pool Table, Refrigerator, Laundry w/Washer and Dryer. Mid Level: Great Room w/Large Flat Screen TV/DVD and Stereo w/iPod Dock, Kitchen w/Breakfast Bar Seating 4, Dining Room w/Seating for 14 Half Bath, King Master Bedroom w/Flat Screen TV. Upper Level: King Master Bedroom w/Sitting area w/Queen Sleep Sofa, Bath w/Tub & Shower, Flat Screen TV, King Master Bedroom w/Bath w/Shower, Flat Screen TV, Bedroom w/Pyramid Bunk and Twin w/Flat Screen TV (Netflix/Smart TV only), Bedroom w/Twins w/Flat Screen TV/ (Netflix/Smart TV only), Full Hall Bath w/Tub & Shower. 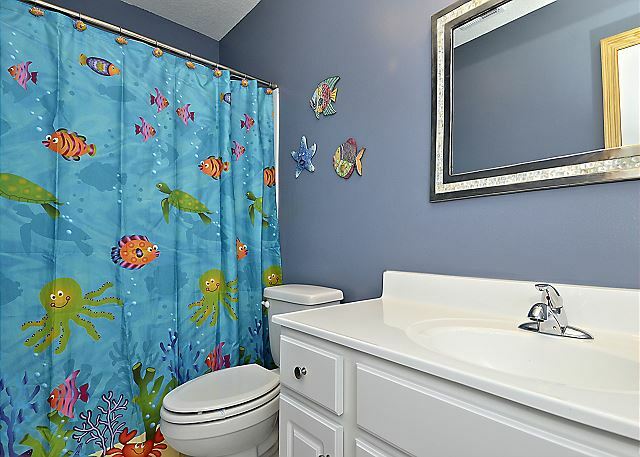 Salty Paws is a perfect home for a large family or multiple families. It was very clean and an added bonus was being able to bring our dog with us. We had no problems at all during our stay and it is a very short walk to the beach. I would highly recommend! Salty Paws is a wonderful vacation home, in a super location. We are thrilled to hear that you enjoyed your vacation and we hope to see you again next year! The weather was not perfect but otherwise it was a fabulous vacation. We stayed at Salty Paws and the house was great for us--3 generations and 2 dogs. 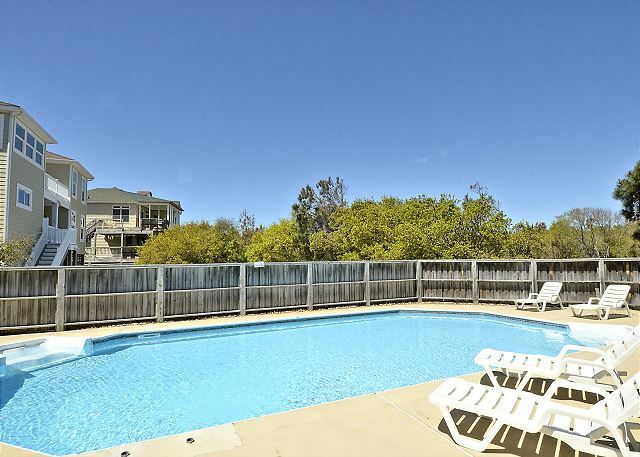 We enjoyed the proximity to the beach, the pool, the hot tub and all the conveniences provided for both humans and dogs. We love the Outer Banks! My stay at Salty Paws exceeded my expectations. It was very clean and had up to date amenities. It was in a perfect location and just a short minute walk to the beach. The property management communicated important information prior to and during my stay. I would definitely recommend this rental and plan to return myself. Thank you for taking the time to provide us feedback regarding your recent stay at "Salty Paws". The house was beautiful, by far the nicest house we've stayed in. This was our 3rd yr 4rd house! The pool is huge the cabana is so nice to have as well as the hot tub. The house was very clean inside and out! Did not smell like dog as previous posts said. I love it that you can bring your dog, we dont currently have one but that could change in the future. It's very close to the beach access and the access is nicely decked. Only about a 2 min walk and your on the beach. My only complaint is we couldn't find a broom, and the refrigerator in the rec room didn't get cold, but we just used the cabana fridge for overflow. Thank you for taking the time and leaving us such a wonderful review. We are glad that you and your family loved Salty Paws, and the owner will be pleased to learn of your high praise. Bringing your dogs gives a new meaning to family vacationing. We look forward to welcoming you back for many years to come. Great house, great weather, great family gathering. This is our third year at Salty Paws and we will return next year. This home's description is accurate and is very convenient to the beach, the dining room table is huge. The property was clean but needed some maintenance as described below. I would recommend this property. We especially love the pool, hot tub and fridge in the cabana after returning from the beach (excellent for cooling off). There also is a fridge in the lower level which adds to the convenience when outside in the pool area. In general we were ok with the facilities but there are areas of need. Thank you so much for taking the time to review this property. We absolutely love Salty Paws too and we appreciate your repeat business. The owners work extra hard to make sure the house is 100% perfect in April when they prepare for the long rental season. Because they are extremely particular about both, the condition and cleanliness of their homes, they employ a private cleaner weekly. UPDATE: The house will be completely pressure washed and repainted for 2018. As you are probably aware, on the Outer Banks, we experience some high winds that are definitely capable of tearing screens. We are so sorry that you encountered this during your stay. 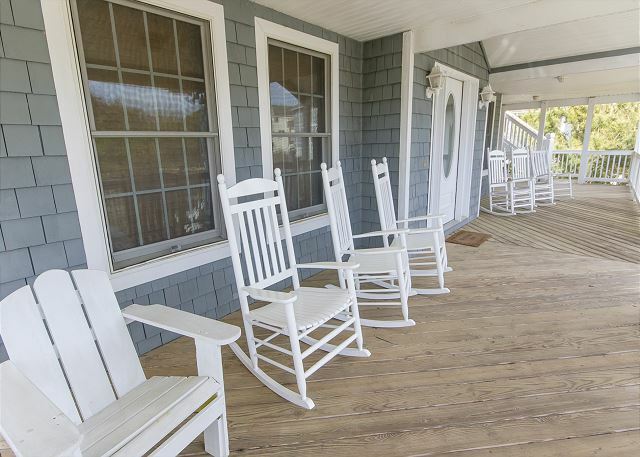 The front porch outside of the master bedroom gets almost no sunlight and by this time of year, the issue that you described can happen but the home is completely power washed at the beginning of the season. UPDATE: The front door and stairs are being replaced for 2018. Guest experience remains our top priority and if we can ever do anything for you during your stay, please reach out. Again, thank you for being a valued guest and we cant wait to see you next year. UPDATE: The kitchen and dining room floors have been replaced with ceramic tile for 2018. We could not have been happier with our choice to rent Salty Paws. Starting with the obvious, this house takes great care to not only be dog friendly, but dog inviting. The lost dog tags helped put minds at ease with so many people in and out of the house, and our two small dog friends loved chasing each other around with the treats! We booked this spot to hold the wedding parties for the two family weddings in Corolla that week. It fit everyone great and made planning a breeze. The rooms were amazing, everyone fit comfortably whereever we hung out, and I cannot say enough great things about that massive pool! We loved this spot and would recommend to anyone looking for a great time with friends, family, and dogs just a short walk from the beach. We're so happy that we were able to be a part of your wedding festivities. Be sure to come back and visit us again! We loved our stay. Kids had a great time in the pool and hot tub. House was well maintained. Great location and quiet neighborhood. This beach house is all it says it is. My large family (12 people) were extremely happy with this gem. The house was very clean and had everything anyone could want. We had 7 days of perfect weather and left just in time before Tropical Storm Harvey came to visit. The pool itself was enormous and we all had a lot of fun in it. The kitchen was very well appointed with a Keurig coffee pot which made mornings even better! The only thing that would make this house perfect would be a screened-in-porch with a table and chairs. The dining room table (while massive in size) was too wide for us to play games on. The property management company was wonderful to work with. We had some minor problems on our arrival and they bent over backwards to help us, which was more appreciated than anything! 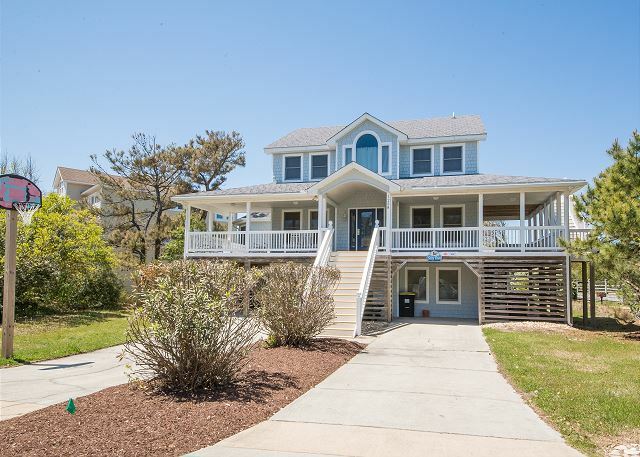 My family has been coming to Corolla for 20 years and this is one of my favorite houses yet! House had everything including all we needed for our dog. Quick response when we needed repairs on pool ques and swimming pool cleaning after the storm. Never having rented a house before(only condos), & we weren't exactly sure what to expect.We were very, very pleasantly surprised! !The house far exceeded our seemed to be perfect, and fulfilled all of our needs. 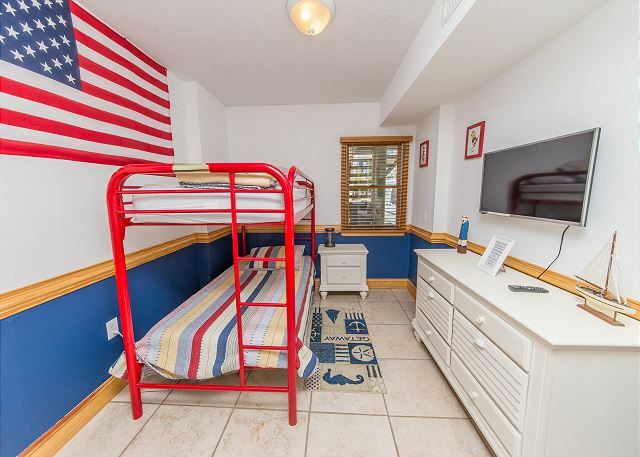 They have thought of everything when offering this wonderful vacation home. Before leaving, our group of 15 was already talking about next year!! Our long drive to get there is the only part we didn't enjoy. We just got back from our stay at Salty Paws. The place is fantastic - had everything we needed for our large group of 13 people (7 adults, 4 teens and 2 babies) PLUS our dogs! 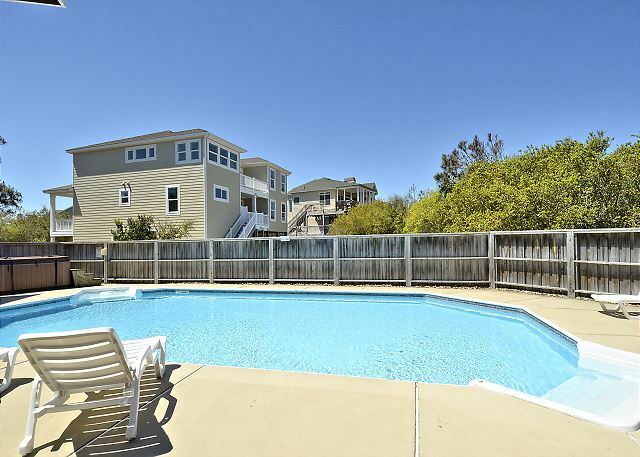 Super close to the beach - awesome pool and hot tub. It was perfect. We stayed at the Salty Paws in June 2015 and absolutely loved it. 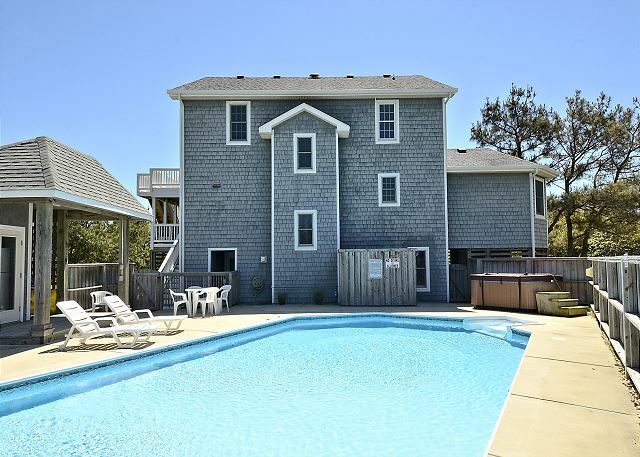 The location was perfect for us as it's only a block away from drive on access to the beach, is a super short walk to the beach with a lifeguard, has a large pool and a hot tub. The kitchen was fully loaded with every appliance, pot, pan and utensil we could have asked for. 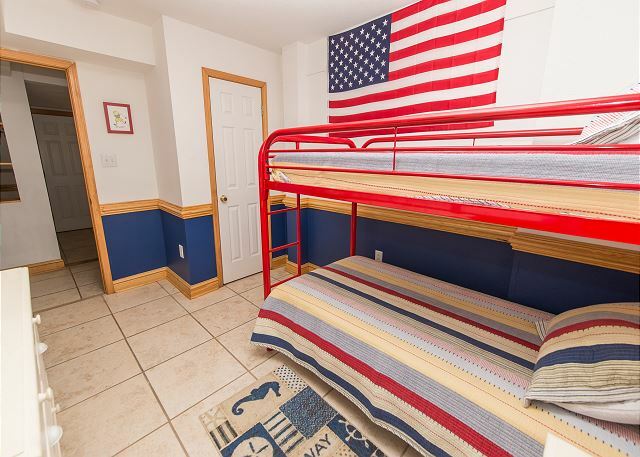 The beds were comfortable, the décor is fun and beachy and the layout is great. I highly recommend this beach house. Thank you for your review and wonderful comments. We hope to host you at Salty Paws again in the near future! Glad you enjoyed your stay. Please come again! We liked the big table for all to sit around, large bedrooms with king size beds, and the pool. A high chair would be nice. We needed sheets for the sofa beds; called Mon. with request but did not get any sheets. Just used blankets. Thank you for your review. Salty Paws certainly is a wonderful home for multiple families! Advertised sleeper sofas will have sheets provided, if the home provides sheets in the reservation. We apologize sheets for the Queen Sleeper Sofa were overlooked, and that your request was missed. Great house, spacious and had plenty of room for all of us (16 people). There were a couple things that did bother us a bit...there was a terrible smell coming from the laundry room (sewage smell?) which i thought would get better after running the washer, but it didn't (we just kept the door closed). The other issue, we are all pool players and specifically wanted a house with a pool table, but every pool cue except one had no tip and there was no were disappointed we couldn't really play. Other than that it was awesome. The pool had a radio with ipod hook up and refrigerator out there so we could all just hang out and not have to go into the house. Kristen, thank you so much for taking the time to leave feedback with regards to your stay in Salty Paws. As soon as this review was brought to the owner's attention, we immediately called the current tenant. They are not currently experiencing the odor that you did but we have a plumber going out on our turnover to do a full investigation. Also, upon seeing your review, the owner had pool cues shipped to the home overnight. We genuinely appreciate guest feedback and thank you again for taking the time to leave us your comments so that we can make Salty Paws even better! Our entire experience was really good, we had such a great time. Salty Paws home had everything and more of what we needed. Home was spacious with a well equipped kitchen. The NFL package was a welcome addition to the men in our family. Our rental agent was great, with an easy process. Sheets and linens provided was an additional plus. Location was a premium. 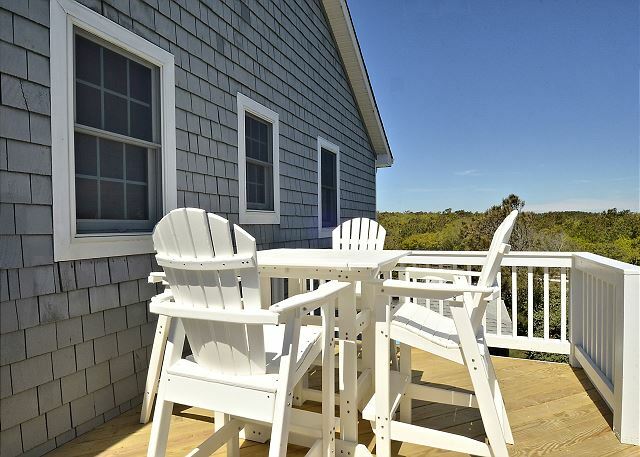 Salty Paws is a wonderful vacation home, in a super location. Glad you enjoyed your stay; we look forward to seeing you again! This was our 2nd year at Salty Paws, is a terrific place, with lots of room, endless deck and porches and everything possibly we need to make our stay feel right at home. This home was the perfect place for our family reunion which included our six adult children and their families. We had six small grandchildren who would rather swim in the pool than go to the beach. We really appreciated the beautiful gated pool and the refrigerator outdoors. Good place to ride bikes which were included. Quiet street. We enjoyed the lighthouse and jeep ride to see the horses. Beach was beautiful with lifeguard. The house was clean and spacious. We loved the big table which seated fourteen. I want to thank the owner for allowing us to rent the perfect house for our vacation. So happy to hear you had a memorable family reunion at Salty Paws, and enjoyed the outdoor amenities and surrounding area activities. We hope to host your family vacation again in the near future! We're so glad you enjoyed your stay at Salty Paws. Come again next year! Overall our vacation was wonderful. There was only one thing I would change: while the dining room table was great to eat a meal at because everyone fit around the table, it was impossible to play games there. The house was perfect for our use. We have a company meeting every October at the Outer Banks. I rent "Salty Paws" as it is on the block of my home and is the best one we have had the experience of using. People from our Mid-West office come for a week of meetings and pleasure and love the experience. So much nicer than conference calls and video conferences. Thank you for your review. What a wonderful idea for company meetings. I bet your employees are happy, after spending time at the Beach! See you in October.